We have egg cartons coming out the wazooo at the moment. So I was a tad excited to find this easy, peasy project. Just paint your egg carton, glue on googly eyes (which by now you’ll probably have in the craft box but, if not, just cut out white circles and add a black dot in the middle) then add curled pipe cleaners for antennae. Done! 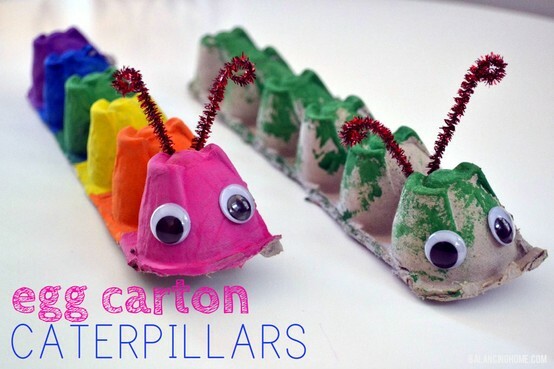 This entry was posted in creative stuff and tagged bug, caterpillar, craft, create, egg cartons, paint by rudyandthedodo. Bookmark the permalink.